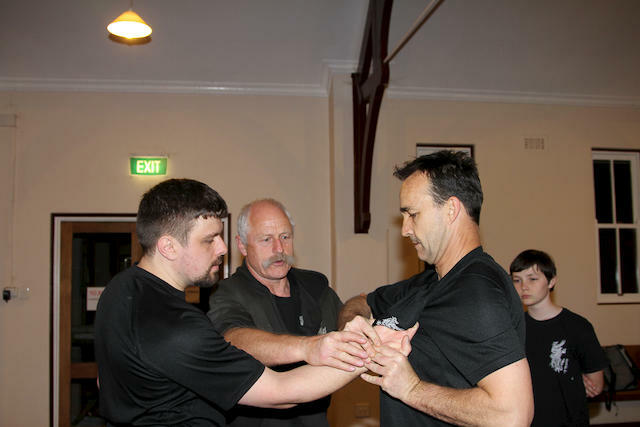 If you would like to find out more about the Way of the White Dragon – Pai Lum Kung Fu, come along to a class, have a look, and talk to the Instructor. You are welcome to take a lesson (we will just charge you for the lesson, but will teach you something worth while). You do not have to have studied a martial art before, but if you have, we can put that knowledge to good use. All we ask of new students is to try your best, within your limits (and we will teach you how to expand those limits). We are proud of our ability to help everyone, no matter whether you just want to learn how to defend yourself, or whether you would also like to increase your self esteem and assertiveness. 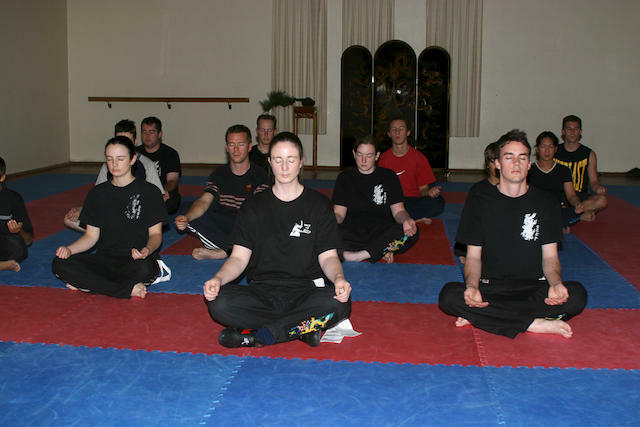 If you have a serious medical condition, you may need to have a doctor’s certificate stating that you are able to learn Kung Fu, but we have found that almost everyone is able to train and enjoy themselves. 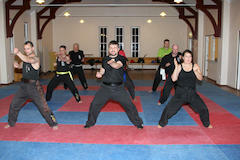 It does help to leave behind any preconceptions of Kung Fu (or martial arts in general! ), as the practice is very different to what you will see on big or small screen, or in magazines. Be prepared to learn, about Kung Fu, but also about yourself. And be prepared to change, for all knowledge changes us! We will teach you how to breathe well, and how to stand and move fluidly, with the grace of the Crane, the strength of the Tiger, and the spirit of the Dragon. so you will need to become competent before we let you loose on our pads and bags. We use our traditional forms to teach the language of Pai Lum, and you will learn some of these as a Beginner, with their application – how they work. We will teach you the basics of meditation, and as a Beginner we will also start to teach you some Qi Gong (or Chi Gung - developing and using internal energy). These are life skills that you will find very useful outside class or self defence situations. 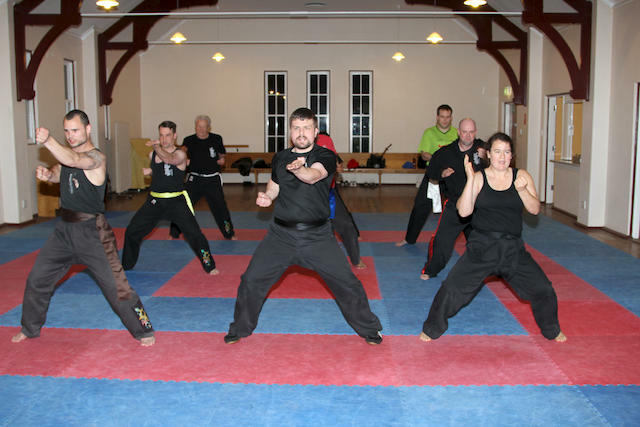 For your first lesson, wear something loose and comfortable (our hall is heated in Winter and well ventilated in Summer), with either bare feet or Kung Fu shoes. You will need to arrive about 15 minutes before class starts, so that you can complete the Membership Form (if you are not yet 18, you will need to have a parent or guardian with you to sign the form). Teaching is a two way process, so your questions are welcome (although you will need to find the right time to ask them). Everyone learns at a different pace, and in a different way – in the Fire Dragon Club, we teach you as an individual!